Disney Cruise Line has selected the most stunning destinations—in the most exciting regions around the world—for cruises you and your family will not soon forget. Enjoy the service and expertise of our dedicated crew as we guide you in your exploration of international ports of call, from the Caribbean region to Europe and beyond. Discover, in detail, the world of delights waiting for you. 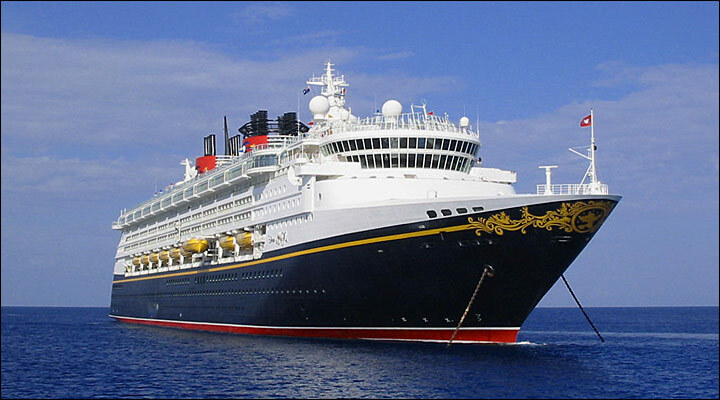 The 4 Disney Cruise Line ships—with their distinctive designs and decorative gold swirls across their bows—inspire awe wherever they pull into port. 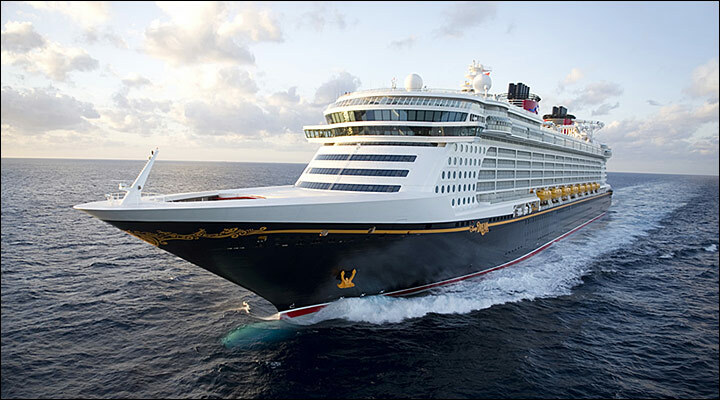 Mixing grand elegance with an element of fun, the Disney Magic, the Disney Wonder, the Disney Dream, and the Disney Fantasy were created specifically with families in mind. Now, discover the enchanting delights of sailing to exotic destinations aboard ocean liners that have "something for everyone" built right in. Each magnificent vessel brims—from bow to stern and deck to deck—with the restaurants, nightclubs, shops and recreational facilities that turn your cruise vacation into an unforgettable, pleasure-packed experience. 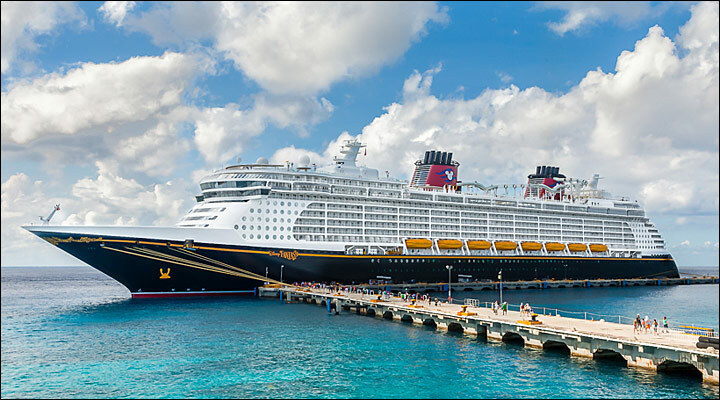 On a Disney cruise, there is something for everyone: relaxing "me" time for the adults, imaginative fun for the kids and exciting family time for all. 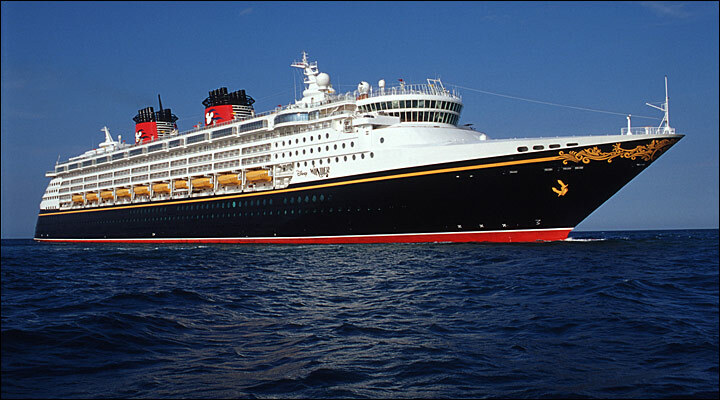 Every voyage includes the attention to detail and world-class hospitality that Disney is famous for. Employees of cargo or overnight freight airlines (FedEx, UPS, etc. ), spouse, and parents of an airline employee traveling without the employee, and FAA employees are NOT eligible. Airline employee may be required to show proper employee identification at the port of embarkation. Disney Cruise Line requires proof of Interline Eligibility immediately upon confirmation of your booking. 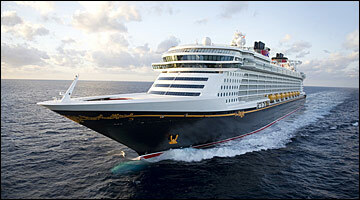 Without proof of eligibility, Disney Cruise Line will automatically adjust the pricing to the current retail pricing.